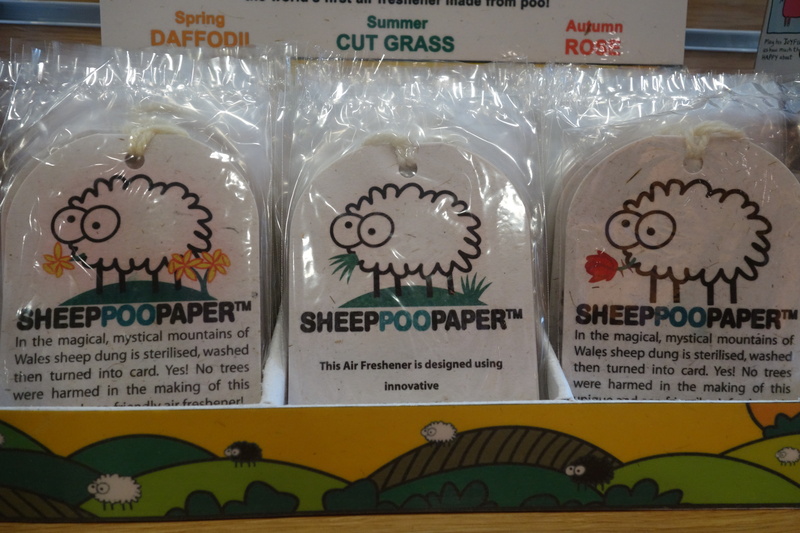 We’ve been expanding our stock recently, and we’re particularly excited about the range of Sheep Poo Paper greetings cards and air fresheners! Made in Wales, sheep poo is cleaned, pulped and turned into great looking, smelling and feeling products. 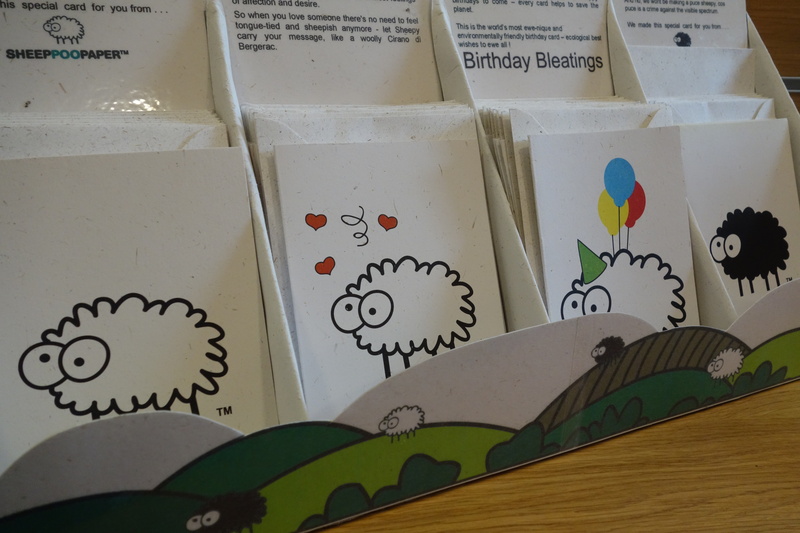 Cards come in Original Sheepy, I Love Ewe, Birthday Bleatings and Black Sheepy. Air Fresheners come in Spring Daffodil, Summer Cut Grass and Autumn Rose. 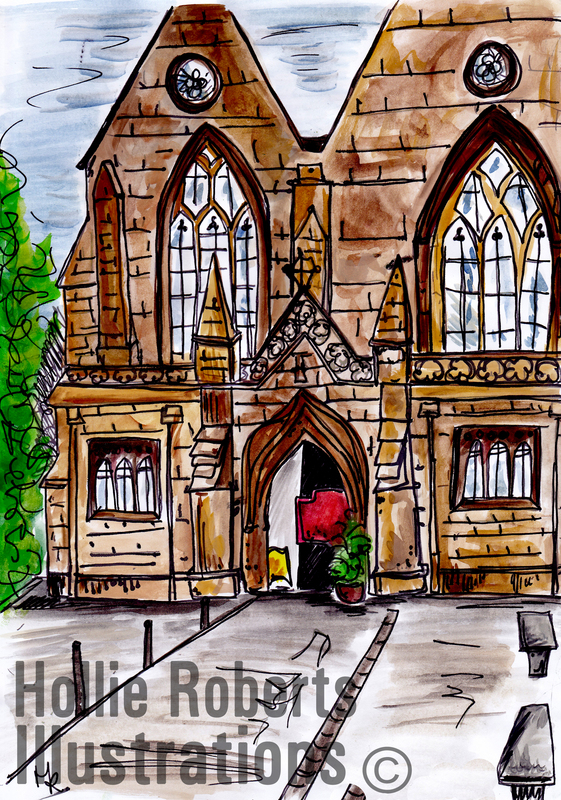 Don’t miss the Tithe Barn’s exhibition of work by Hollie Roberts on display until the end of September. 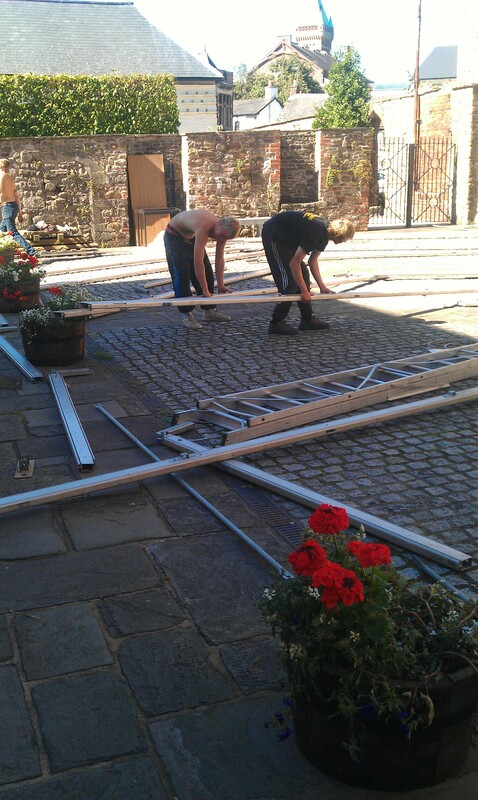 The wonderful scenes depict Abergavenny and St Mary’s Priory. 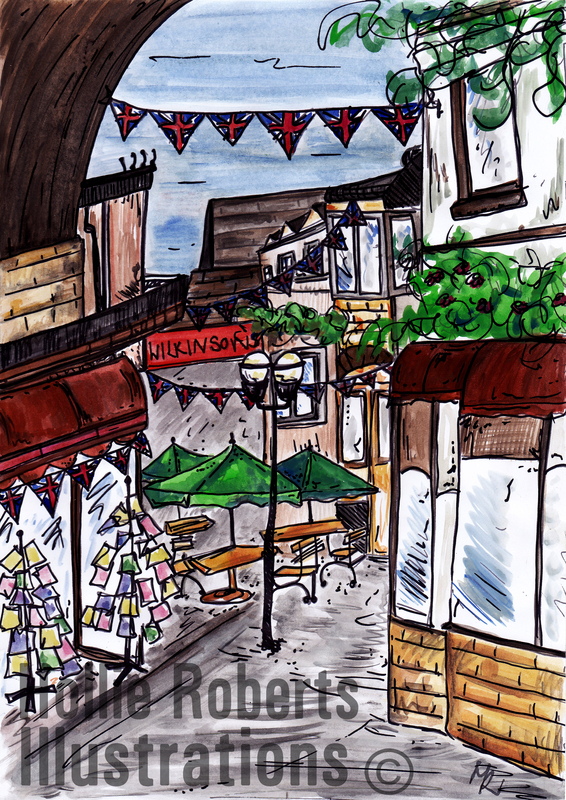 A scene of Abergavenny by Hollie Roberts, more of whose work is on display at the Tithe Barn until the end of September. We’re really pleased to display the images, which cover Abergavenny and St Mary’s Priory. Myddfai, a tiny Welsh village in the Brecon Beacons is home to Myddfai, the entrepreneurial charity that has products stocked in the Tithe Barn. 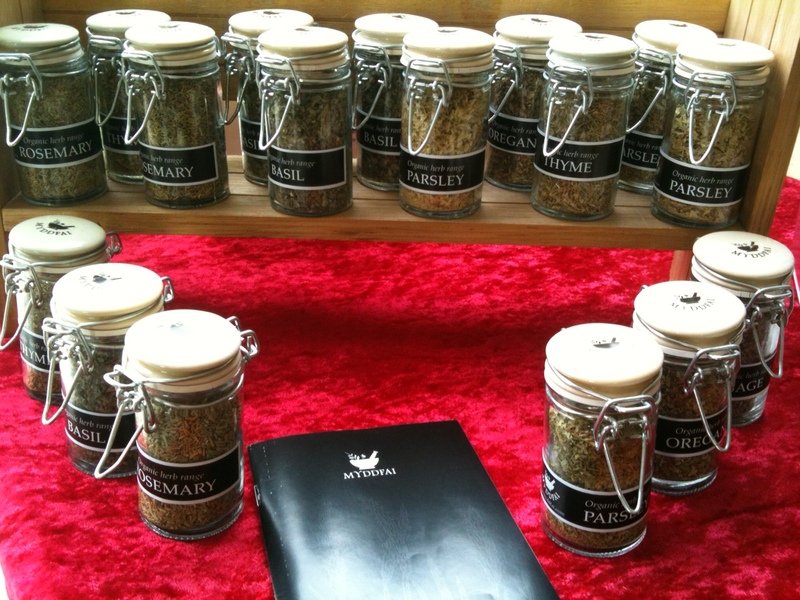 You can pick up some great herbs here, that are perfect to take home from the Food Festival this weekend. We have Rosemary, Parsley, Basil, Thyme, Oregano & Sage. 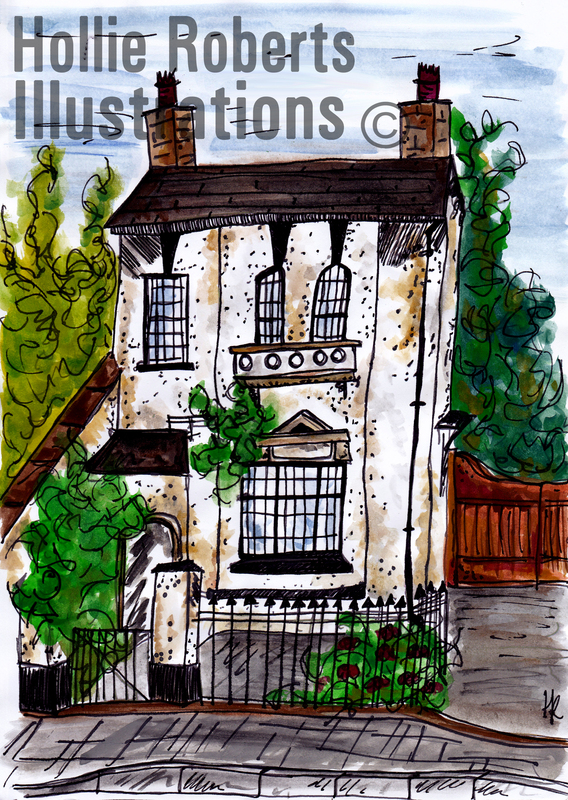 Front view of St Mary’s Priory by Hollie Roberts. Hollie is a recent graduate of Bath Spa University, now living in Cardiff. You can see her work displayed at the Tithe Barn until the end of September. 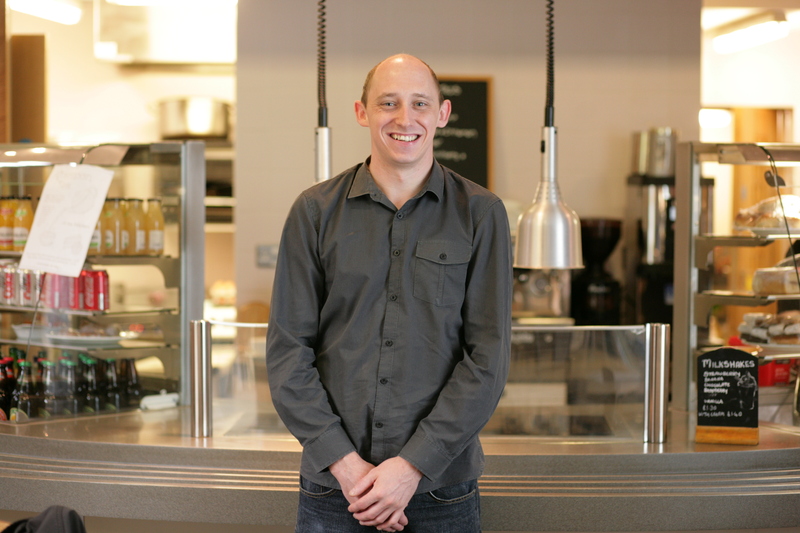 St Mary’s Priory is excited to be announcing the arrival of a new Manager and Head Chef at the Tithe Barn’s Food Hall. Taking over in early September, just in time for the Food Festival, will be Stuart Colbourne, currently Restaurant Manager and Head Chef at the Raglan Garden Centre. 32 year old Stuart has spent 7 years working at the Garden Centre, where he has built an enviable reputation for high quality catering, serving loyal customers from across the County. Asked what his priorities would be, he explained that he is keen to engage with customers to gain feedback about what they would like to see in the future. He also wants to focus on raising the profile of the business through improved marketing.